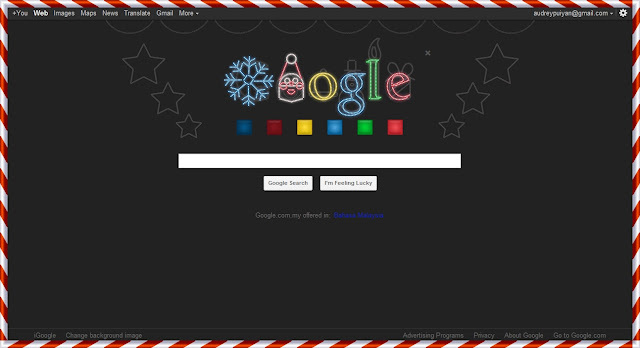 I guess most of you guys are using googles :) I do love to use google because mostly occasions or festivals , their homepage has a lil surprise and I love their Christmas's surprise ! Merry KISSMAS! mwahhhs,what's your plan? celebrate with your loved one,family,relatives and friends! have fun,and a great joy of XMAS!